About seven years ago, I set out to build my own business- a photography collective. I was convinced that it was God’s idea for me to build a business of my own, get rich, start a family and then do a lot of CSR projects. Well I was wrong. Today, I was reading out of the story of the Tower of Babel and pondering on the question: “What must I do to become successful in building my tower?” And I’m sure everyone has asked that question in some way or another. Everyone wants to know how they can build a successful business, successful ministry, successful family or successful life. As I was reading the story of the Tower of Babel, the Spirit of God reminded me of the time I first started out my first business and I couldn’t help but see such a similarity between my venture and Babel. Just like the Tower of Babel, I had all intentions of finishing my project and I was building upwards and doing really well. But just like the people building that tower, I soon lost track of meaning and my language got all over the place. I ended up leaving a half-baked tower that stood as an embarrassment to my name. Everyone wants to know how they can build a successful business, successful ministry, successful family or successful life. We all probably don’t want to find ourselves in this spot when building our towers, businesses, ministries or families. 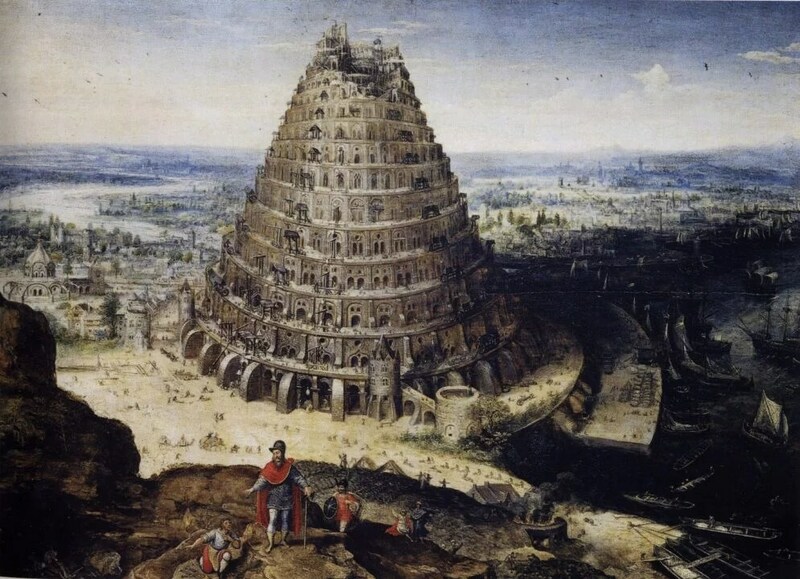 So what can we learn from the story of the Tower of Babel? How often do we find ourselves building our towers with our man-made ideas instead of building them with God ideas? No matter how good you think your ideas are, if they aren’t God ideas they won’t be good material for a successful tower. The chief end goal of man and therefore every tower he builds is to bring glory and honour to God and not to the self. 1 Corinthians 10:31 commands us, “So, whether you eat or drink, or whatever you do, do all to the glory of God.” The best foundation and the best tower top is the glory of God. When we work with that, everything in between will work together for our good as God calls us into His purpose and not ours. The best foundation and the best tower top is the glory of God. Probably the only thing that the people of Babel did right was to build the tower together. It is always God’s idea to build ideas in the confines of a relationship with each other. The only thing that Babel missed out was to include God in that “together.” When God is in the center of our joint ventures, we all speak the same language because the unifying force of the heavens have never been about good ideas, never about glory but about the presence and name of Jesus Christ. What tower are you trying to build today? Are you building with God ideas for God’s glory? Who are you building with and is God leading that team? You Failed As a Leader, What’s Next?